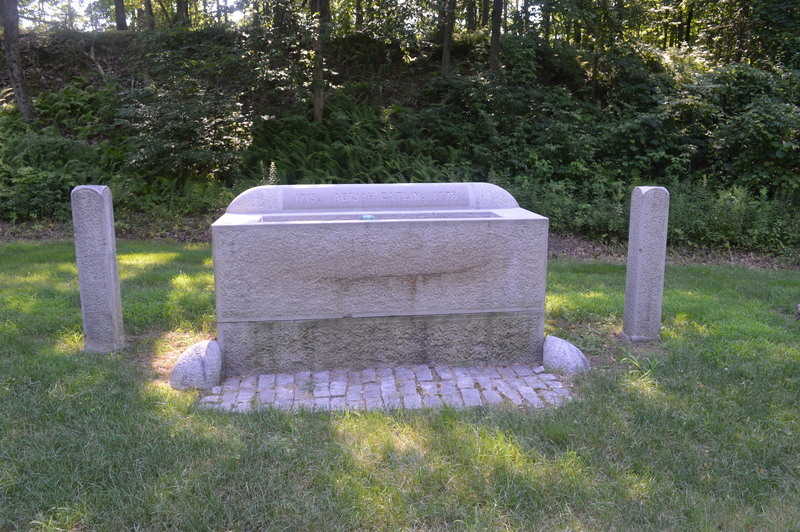 The Harwinton water trough stands a memorial to the original setllers of this part of town, and to the development of the Burlington Road/Harmony Hill Road Historic District area. Harwinton was originally Hartford and Windsor’s Town, a tribute to the original emigrants who settled it. 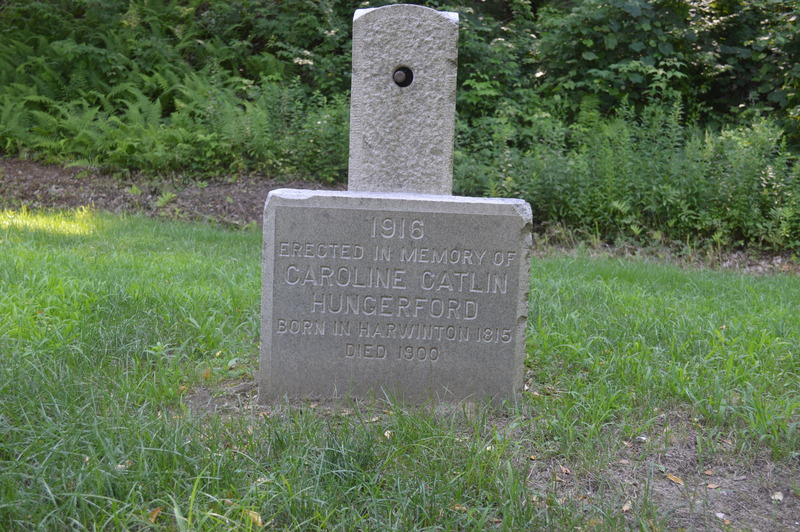 Next to the trough is this granite marker; it was once a drinking fountain. 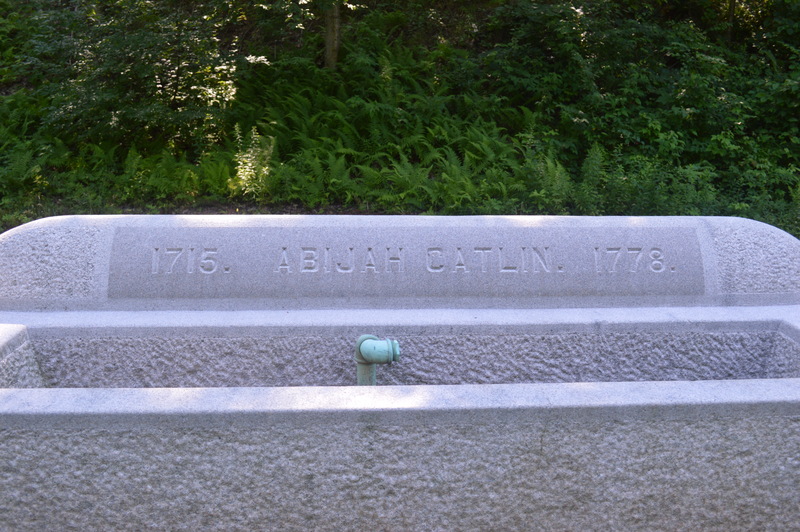 Among those original settlers was Major Abijah Catlin (1715-1778), who was given a land grant here in 1738. While there is considerable debate about whether the Abijah ever moved to Harwinton, his family maintained homes and businesses in this area for five generations. His son, Abijah Jr., operated a store and an inn at the crossroads of Route 4 and Harmony Hill Road. Here, in 1780, Catlin served refreshments to George Washington, the Marquis de Lafayette, and General Henry Knox. One of his descendants, George Catlin, was educated at the Litchfield Law School and served in the United States Congress. 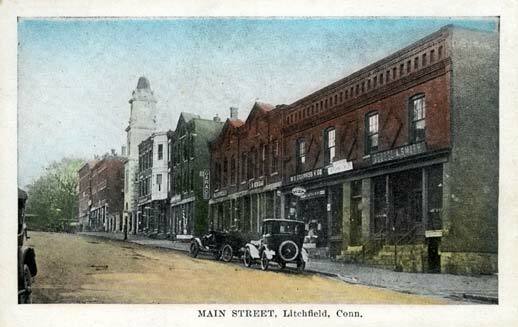 Photo courtesy of Harwinton Historical Society. The Catlins placed a trough at this location at some point in the 18th century. 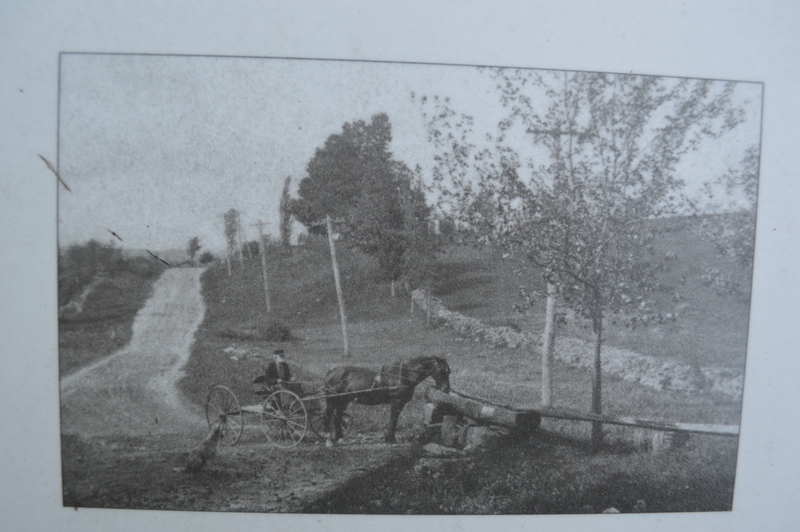 It utilized a nearby spring and gravity to provide horses and oxen passing by with a source of drinking water. It operated until the early 20th century. Much like the Goshen animal pound, the trough reminds us of the integral role animals played in the lives of those who lived in this area two centuries ago. This entry was posted in Architecture, Geography, History, Uncategorized and tagged Harwinton, horses, Roads by pvermily. Bookmark the permalink. Another fascinating bit of history. These posts just keep getting better and better.